Our phones and devices have become like digital appendages that most of society has a hard time living without. While hurricane season is officially over, winter is here, and with that comes potential for long-term power outages. Additionally, those of us that travel abroad are sometimes faced with the dilemma of keeping our cameras, phones, and satellite trackers charged and ready for use. On a personal note, I once took my three nephews on an adventure high in the Andes and was able to maintain the charge on our four phones, two hand-held cameras, one action cam, a satellite tracker, and our guide’s phones charged via a solar panel (which was strapped to my pack). Whether your next adventure involves an off-the-grid experience or you’re just looking to stay connected during a power outage or natural disaster, an eco charger — a charger that uses natural or self-produced energy — can come in handy. Here are some of our favorite devices that can keep you charged on your next remote adventure or keep you connected to the outside world when Old Man Winter decides to leave you powerless. This nifty charger suctions to any window or glass surface and continually charges as long as it’s facing sunlight. It all comes in a sleek, modern package with an easy connector for just about any USB-based device. If there’s not enough sunlight, consider the hand-cranked power of the Pocket Socket 2. This updated version has a 10-watt generator that charges your device at the same rate as a standard 120-volt electrical outlet. 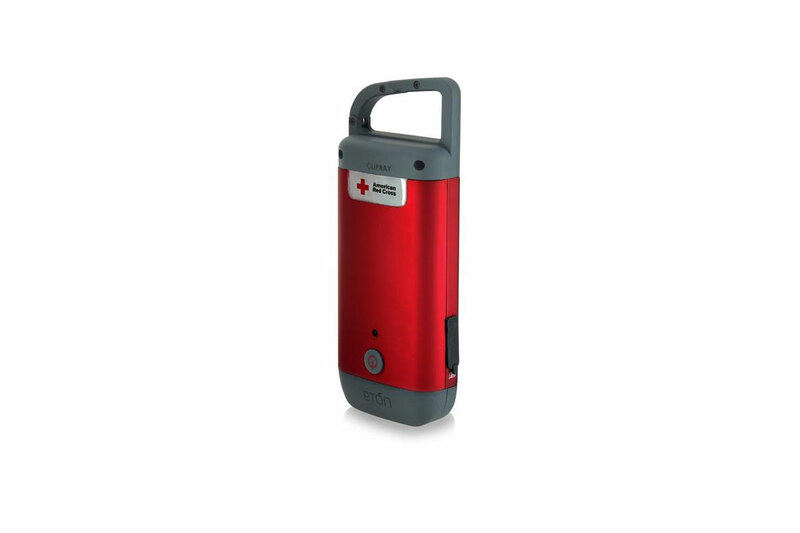 It’s a lot of power in a small package and makes a lot of sense for backpacking and emergency kits. Anything branded with the Red Cross logo has to be built for the worst emergencies and this hand-cranked charger is no different. It’s simple design is built as a clip-on with a USB charger and LED light. It’s built to go wherever you need it to and may become your best friend should the worst-case scenario come to reality. This waterproof option can be charged one of two ways: by USB port or by connecting it to an solar panel (purchased separately). This device allows you charge two items simultaneously via two high-speed ports. We found it to charge our devices as quickly as plugging in directly to a wall outlet. Our friends at Digital Trends wrote about this really great prototype earlier this year. It was so cool, we thought it was worth mentioning again. At less than two pounds, it’s a portable turbine that generates and stores it’s own power. It can generate up to five watts with constant 11 mph winds. For now, it’s still in concept form (it was created by École Cantonale d’Art Lausanne design student Nils Ferber), but we’re hoping that a company or investor gives it the green light soon. Article originally published on January 1, 2017. Last updated by Clay Abney on December 18, 2017.